I’m a sucker for a deal. Those “you saved $…” lines on receipts always get my attention. If something is more than 50% off, I’m going to consider buying it. Saving money (even when you’re not actually saving money) gives me an endorphin high. Which is part of the reason I’m in debt. 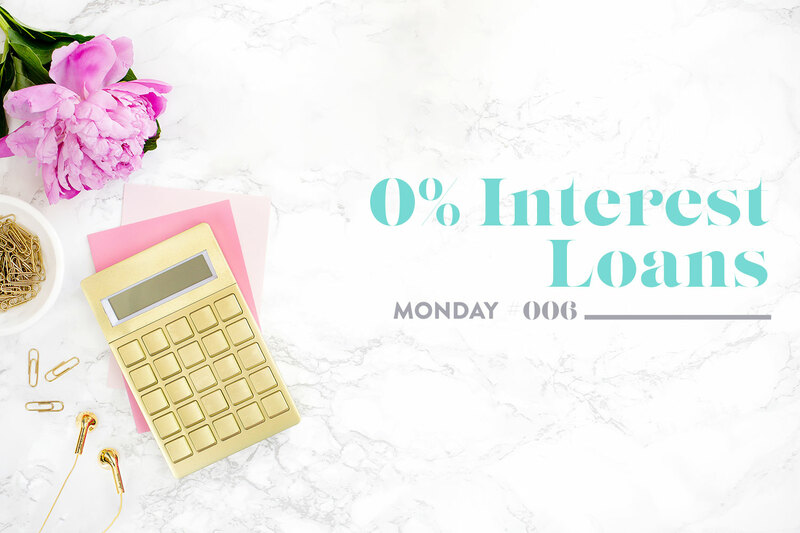 Whether a blessing or a curse, one of the reasons that I have let this problem grow slowly over the last few years is because up until a few months ago, all of my debt was interest free. In my head, getting big ticket items without having to pay interest over 2 or more years felt like something I had to do. I was right, but a brand new card wasn’t a requirement. Either way, I bought the cheapest new car, filed for divorce & paid my Yaris off a full year early. Not having a car payment was a big deal to my variable income. The trend of no interest purchases continued into my furniture shopping (now that I was single) & technology addiction. Every time I paid off the purchase before the no interest financing period ended. But I’m also the person who said “I never have a balance on my credit card” and look at me now. Whoops. Two of my five debts are for technology that I bought with 0% interest financing. The first is my new iMac that I use to run my business. It replaced a 2012 iMac, so at least I feel better about how long I use computers — 5 years is a long time for technology. My current iMac balance is $1,600. Up until reading The Total Money Makeover , I had been paying $150 a month, which put me on track to pay the total off 3 months early. Now that I’ve read through the concept of the debt snowball, I’m focusing my efforts on my next (& smaller) technology debt instead. When it was time (questionable) to upgrade my iPhone, I noticed that Apple offered no interest financing for 2 years if you enrolled in their upgrade plan. That seemed way nicer than spending the $996 same day. So I signed up. The difference with this loan is that they calculate your payments and withdraw that amount each month. I suppose I could find a way to miss a payment, but so far it’s worked well for me. I did make an extra payment early on in the plan because I wanted to own the phone outright if I decided to upgrade within the 2 years, which is why I owe $249 on my iPhone currently. I must respect the debt snowball. When I started this blog & my journey to get out of debt, I lost sleep over the one debt that I was paying interest on. I knew it was going to impact my credit score and that freaked me out royally. And while it’s important to me to pay that credit card balance soon, the reality is that I can get my iPhone paid off within weeks. Suddenly my sources of debt reduce by 20%! And that’s the concept of the debt snowball — small wins early on. My goal is to pay the balance of the iPhone loan this month or in January at the latest and then focus on my next largest debt. If you’re following along, you know that my current debt sits at just over $11,100, so where is the remaining $9,200+ coming from? Besides the $1,000 that I have on my Capital One card, I have borrowed $8,300 from loved ones. It was embarrassing AF to ask for financial help & it’s not something I’m proud of. I also know that having this option has saved me mountains of interest and I’m lucky to do so. It took me getting to the point of not being able to make a credit card payment to learn the humbling reality of asking someone to loan you funds. The bright side is that I know, with this debt snowball idea, I will likely pay off my other debts (iPhone, credit card, iMac) by mid year next year. Then I could focus all of my efforts into paying off family & getting out of debt. That’s the plan at least.